Coming into this game, Kyle Lowry was in a bit of a slump. He was going through a four-game stretch where he averaged less than four points on ice-cold 10% shooting. He was held scoreless in their last game, a blowout loss to the Bucks. Coming into today’s game against the Clippers, Lowry couldn’t afford to have a bad game. Toronto was going through a rough stretch with three losses in the four games coinciding with Lowry’s four-game slump. To make matters worse, Kawhi Leonard was being held out of the first game in this back-to-back. 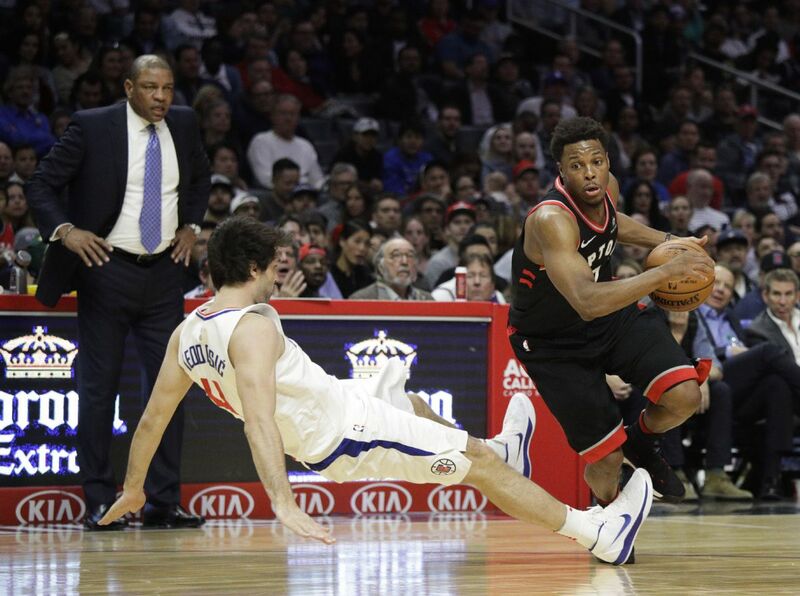 This meant that the Raptors were set to face a legitimate West Playoff contender without their best player and with their second-best player currently in a slump. Thankfully for the Raptors, Lowry was able to shake off the bad shooting in the past few games and lead his team to the win. He scored 21 points on 8/13 shooting and dished out seven assists. Lowry hit four of his eight three-pointers and missed only one two-point field goal. Lowry had a lot of help from his front court. Ibaka scored 25 points, grabbed nine rebounds and blocked three shots. He was also on fire from the field, hitting 11/18 shots. Toronto cruised to an easy win with Ibaka and Lowry leading the way. This was a crucial win because it gives them momentum heading into their epic match-up against the complete Golden State Warriors in their next game. It’s been a trying season for Gregg Popovich and the Spurs. They’ve had to endure several injuries, a big superstar swap and inconsistent play from both ends of the floor. Because of that, they’ve been struggling to stay afloat in the West, trying to get above .500 in the past few games. This game against the Suns was the perfect time to get their record to an even .500. San Antonio got solid games from Bryn Forbes and LaMarcus Aldridge to make up for a bad shooting game from DeMar DeRozan. The Suns didn’t put much of a fight and the Spurs got the easy win. This win was one of the rare bright spots for the Spurs this season. This was Greg Popovich’s 1,211th win, moving him past Pat Riley for fourth in the All-Time Coaching Wins List. The Rockets were facing another contender out in the West. Early in the game, it looked like they were setting up their fans for another disappointment. They fell behind by 15 points early in the game as the same problems that plagued them all season long re-surfaced. The Rockets reserves came into the game and injected rocket fuel into the team. They were fighting for loose balls, running the floor hard and defending with more effort. The rest of the team followed suit as they took the lead in the middle quarters and got the win. Chris Paul had a triple-double with 11 points, 11 rebounds and 10 assists. James Harden led the way with 29 points. The Rockets recognized that they were playing a faster pace and with more effort in this game. Maybe that’s something they can take into their next games.